One of the Expedition 40 crew members aboard the International Space Station recorded this early evening photo of the entire Iberian Peninsula (Spain and Portugal) on July 26, 2014. Part of France can be seen at the top of the image and the Strait of Gibraltar is visible at bottom, with a very small portion of Morocco visible near the lower right corner. 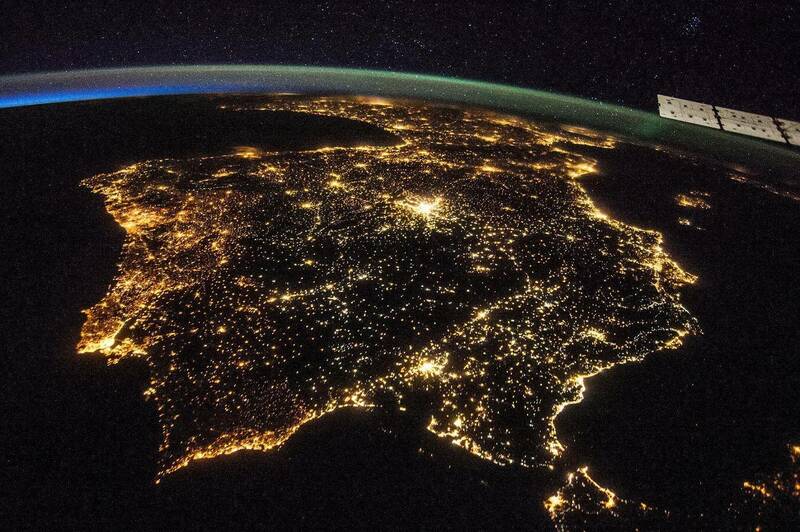 Iberian Peninsula From Space. Image Credit: NASA. You can see how Madrid shines the brightest, with other cities such as Valencia and Barcelona also standing out among the lights.